When it comes to commercial young adult novels, we must not discount the new releases that appear to be knock-offs. Readers who tore through the “Twilight’’ trilogy and then turned to Richelle Mead’s addictive “Vampire Academy’’ series because it seemed to be a suitable imitation probably figured out quickly that Mead’s books are uniquely engaging, not at all derivative of Stephenie Meyer’s story, and manage to use vampire lore to explore class, sexual politics, and how teenagers cope with depression. Fans of “The Hunger Games’’ - the international bestseller by Suzanne Collins that made more than $150 million as a film adaptation during its first weekend at the box office - also have a list of well-written dystopian novels to choose from that may seem to be imitations but actually stand quite well on their own. Marie Lu’s “Legend,’’ which like “The Hunger Games’’ is set to be a trilogy, is a thrilling romance about a teen groomed by a dystopian government who falls for a dangerous outsider. And Lauren Oliver’s “Delirium’’ series, which saw the release of its second book, “Pandemonium,’’ last month, is an absorbing mix of dark dystopian lore and romance novel. It is no “Hunger Games,’’ but it is addictive in its own right. “Pandemonium’’ continues the story of Lena, a teenager from futuristic Maine who lives in a world that considers love to be an illness. People are “cured’’ of their “deliria’’ just before they hit puberty. They’re matched with mates deemed appropriate by the government. The story is reminiscent of Lois Lowry’s “The Giver,’’ but unlike the preteen male hero in Lowry’s classic, Lena is a young woman who, while strong, is emotional, giddy, confused, insecure, and wonderfully angsty. Collins’s dystopian America in “The Hunger Games’’ is certainly more vivid than Oliver’s loveless United States in “Pandemonium,’’ but what Oliver offers is a heroine who is deeply relatable. While Collins’s Katniss is super-hero-like and is able to brilliantly compartmentalize her emotions so much so that if you were her teenage friend you’d probably want to shake her, Lena is the kind of girl you’d want in your bunk house at sleep-away camp. She is strong and intelligent, but can be woozy with love, and moody. In the first book, Lena falls in love with a handsome outsider named Alex just days before she’s supposed to be “cured.’’ That installment follows her through the revelation of forbidden love, and (spoiler alert) the story ends with our heroine having escaped to the outskirts of society. Alex has been killed while helping Lena with her terrifying escape. While “Delirium’’ is a love story, “Pandemonium’’ is mostly about politics and rebellion. Oliver introduces us to the world of “The Wilds,’’ gives us a new love interest for Lena, the vulnerable Julian, who happens to be the son of the president of Deliria-Free America, a group that promotes the society’s bible, “The Book of Shhh,’’ to the letter. Julian is likable enough, and has his own tragic back story, but sadly, Oliver made her “Delirium’’heartthrob, Alex, so wonderfully magnetic that it’s a bit too difficult to accept that she’d ever really move on. We’re with Lena, in total disbelief that our hero, the boy who made us fall in love, has truly died, even though we were there to see him expire. Fingers crossed that Hana, of all characters, makes a grand return in “Requiem,’’ Oliver’s third book in the trilogy. We only have a year to wait, and in the meantime, there will be other knock-offs to keep us busy. 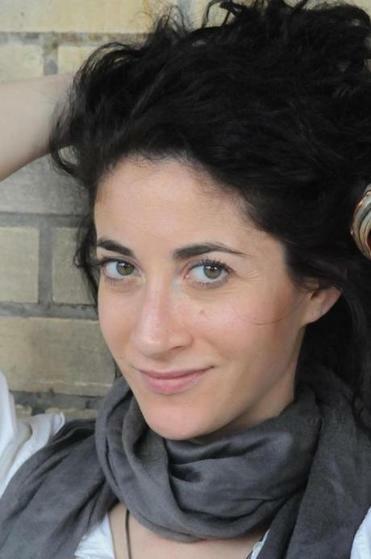 Meredith Goldstein can be reached at mgoldstein@globe. com.